Why it matters: This is the first time we’ve publicly seen a prototype iPhone of this nature. It’s a fascinating look into the history of one of the biggest tech launches of our time and highlights the extent that Apple went to keep the design a secret, even from its own engineers. Steve Jobs during a keynote address at the Macworld conference on January 9, 2007, told the audience, “This is a day I’ve been looking forward to for two and a half years.” Moments later, he introduced the world to the iPhone, a device that would help set in motion the mobile revolution. The journey, as Jobs alluded to, began years earlier with an idea that eventually became a project known internally at Apple by the codenames “Purple 2” and “M68.” Neither designation gave much of a hint as to the nature of the project. Nor did early development hardware. The Verge recently managed to get its hands on an early iPhone M68 prototype which, at first glance, looks more like an old motherboard from a late 90s PC than the guts of a mobile phone. Indeed, Apple likely designed the board to be misleading – not surprising, considering many of the engineers that worked on the iPhone wouldn’t know its final design until late in the development process (or perhaps not even until it was unveiled publicly). 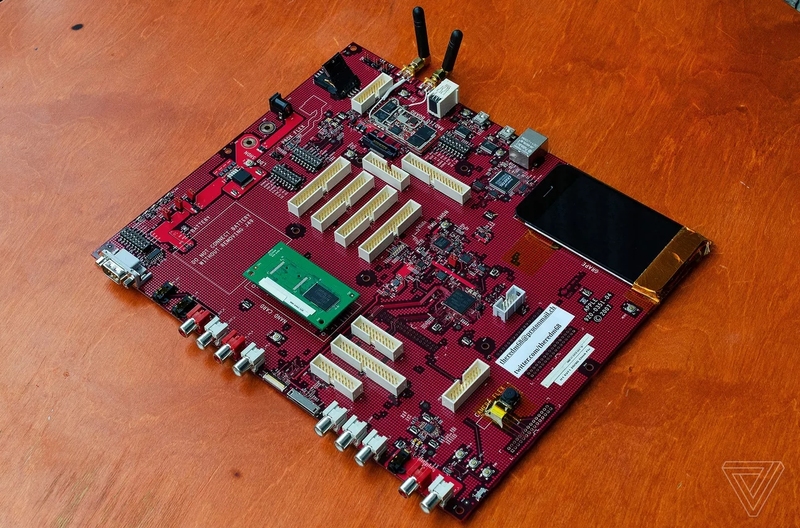 Upon closer inspection, you’ll notice that the prototype board contains the hardware that would eventually make its way into the iPhone – a SIM card slot, a camera, power and volume buttons, a 30-pin connector and of course, a display. A board of this nature, the publication said, would have been supplied to engineers working on the software and radio portions of the project.